Hey Beautiful Butterflies. Prior to trying out Smile Brilliant the only whitening product I used as part of my daily routine was whitening toothpaste. However, in the past I’ve tried whitening strips and a whitening rinse but saw very little results. I’m not really a coffee drinker but I do drink a lot of tea and enjoy an occasional glass of wine and eat berries almost daily. Since most of what we eat and drink has the potential to stain our teeth over time, using a whitening product is a must if you want to look and feel your best when you smile. Currently the #1 dentist recommended teeth whitening method is using custom-fitted whitening trays. Using whitening trays ensure that every angle of every tooth (regardless of whether your teeth are straight or not) receives even and consistent coverage of our professional strength whitening gel. Smile Brilliant offers custom-fitted whitening trays for 70% less and up to 5x faster. The average U.S. dentist charges $500+ for the exact same service. 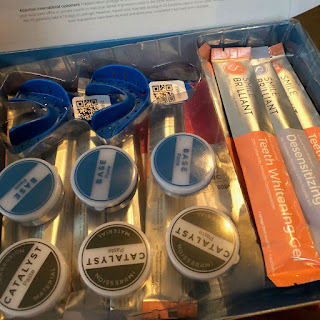 I was somewhat ecstatic about using the custom-fitted trays for whitening purposes but I was also a little skeptical about using the whitening gel because like most people my teeth and gums are sensitive at times and I was worried about introducing a new product to my beauty regiment. I’m definitely far from vegan but I still try to use cruelty-free beauty products as often as possible so I was excited to learn that Smile Brilliant is a cruelty-free product. It’s suggested to whiten at night before bed for 1-4 hours but for someone with an overwhelming daily schedule and sensitive teeth/gums like myself that could be hard to do so, you just have to figure out what works best for you. Since I’m an early morning person it was better for me to whiten in the mornings, a couple hours prior to breakfast. I did experience some major sensitivity at first (which I was told is normal) but after decreasing my whitening time and increasing my desensitizing time, the sensitivity became very minimal. I used the whitening trays for 30 minutes to 1 hour, every other day for two weeks. 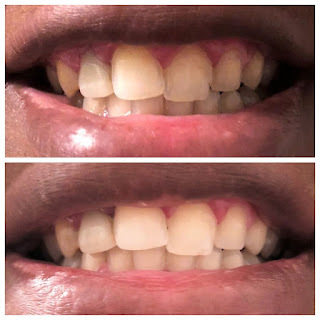 I didn’t get drastically noticeable white teeth but I did notice a difference, my teeth are definitely a shade lighter since using the Smile Brilliant teeth whitening trays and gel consistently for the last two weeks. Overall good experience. What whitening method are you using? Please share below! Want to try Smile Brilliant? Enter for a chance to try Smile Brilliant for free at www.smilebrilliant.com/g/butterflylifestyle or use code butterflylifestyle15 for 15% off store wide.